I have edited the post. Thanks heaps! I have attached a rendering of our kitchen and floorplan. Thank you so much for your reply and compliment! I love my house...cant wait for it to be finished!!!!! We are about to lay the slab for our fabulous new home! I am trying to be organised and gathering all the things we are supplying. I am having issues with a hallway in our house plan. ill re do the post - look out for it! Thanks everyone! I will sit down tonight with a pencil and nut out each of your suggestions. 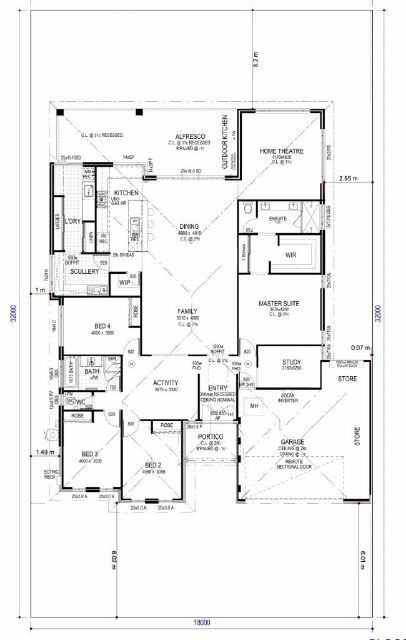 We really love this house plan, it has everything we want and then some...except for a 5th bedroom.